We provide links to websites that are owned, operated and/or maintained by third parties. 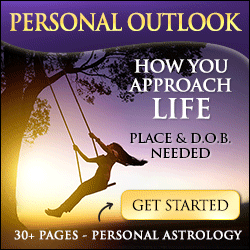 Neither freehoroscopesastrology.com, its owners, parent or subsidiary companies control in any respect any information, products or services on these third-party sites. Under no circumstances, including but not limited to our negligence, shall we, our parent company, affiliates or any of our subsidiaries be held liable for any direct, indirect, incidental, special or consequential damages resulting from the use of our website, or the inability to use the website or any content we provide. In using this website and/or any of our content in any of our websites, you agree not to hold us liable for any damages whatsoever, direct or otherwise, which may arise from your actions or your inaction. If you are not satisfied with our website or any of our content, or with any of our terms and conditions of use, your exclusive and sole remedy shall be to stop using our website(s) or content.